A lunch fit for a king, but I’m merely a joker. 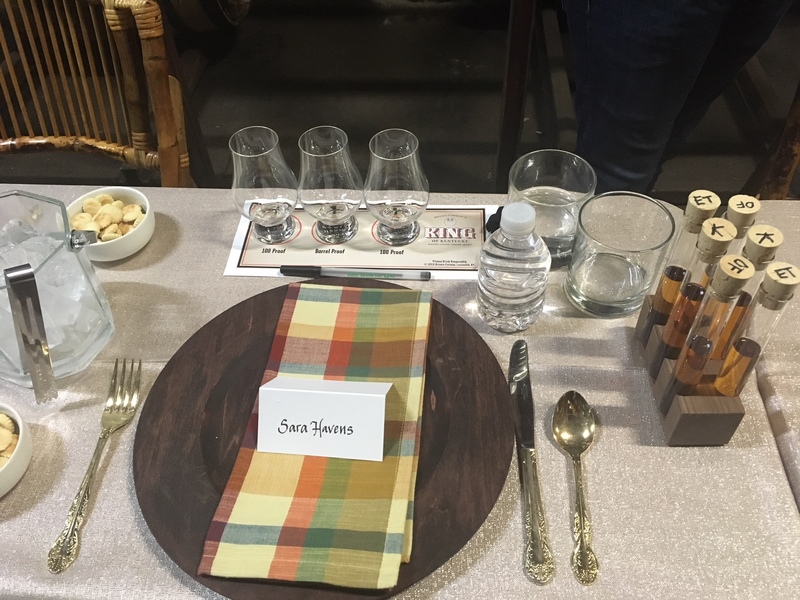 I spent it not tied to my desk writing about goat festivals, but instead inside a Brown-Forman rick house sipping a new 14-year-old bourbon and eating a lunch prepared by Chef Damaris Phillips. Here’s more info on the latest premium release by Brown-Forman, called King of Kentucky. It tasted like liquid gold, and there were so many notes of tropical fruits like pineapple and coconut, I swore it might have been finished in rum casks. But alas, it was not. This juice was made and aged right here in Louisville. And since there are only 960 bottles up for grabs at $200 a pop, I have a feeling that was both my first and last taste. It will exist now only in my taste bud memory bank.